Finally, Bentley Motors revealed in Detroit the new Continental GT V8 in a brilliant and exciting presentation to the press. Before Christmas, Bentley revealed on its official youtube channel a teasing video about the new Continental GT V8. At that time, I made an article about it. See here. A beautiful and very exciting video, a true ambassador for the brand tagline: driving luxury performance. In this beginning of the year, the CEO of Bentley Motors, Mr Wolfgang Dürheimer, officially revealed the new Continental GT V8. On the occasion of the North American International Auto Show 2012 in Detroit, there was a very exciting presentation of the new car. 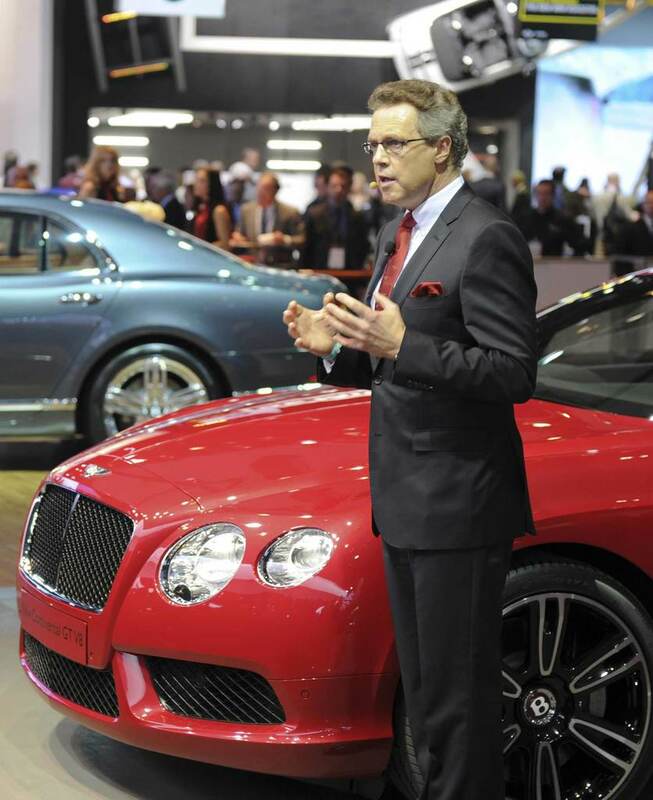 For the occasion, Bentley Motors invited the Brand friend and ambassador, Derek Bell. He is a former racing driver from England who was extremely successful in sportscar racing, winning five times at Le Mans. He also raced in Formula One for the Ferrari, McLaren, Surtees and Tecno teams. He has been described by fellow racer Hans-Joachim Stuck as one of the most liked drivers of his generation. So, do you still feel your heart race? info sourced at Bentley Motors official press release and Bentley Motors youtube channel. All images copyrighted. Reproductions not allowed without further notice.